For many of us Lido was one of the favorite theaters for English movies. It had a nice garden around it, ample parking space. I still recall seeing Crazy Boys, Jaws, Airport series at Lido. Few years ago I saw a board on the gate “Closed for Projector repair” or something like that. I knew it was a lame excuse. We have heard about one not doing their homework because the dog chewed the book, grandma/grandpa died (for the Nth time) but this excuse was a new one! Anyways, surely this Mall+multiplex makes more economic sense than just having a theater. Later we read in the papers a mall was going to be developed. Finally it did happen. The 3 theaters are not yet functional in the Lido Mall, hence the Mall has a very deserted look. Movies plus food is the only way to attract customers into the Mall. Sigma Mall on Cunningham Road is not doing well because they don’t have movie theaters. 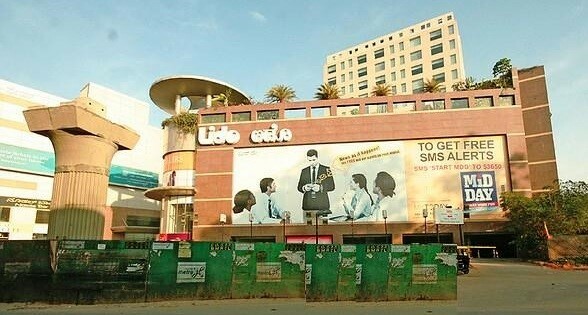 For movie listings of Fame Lido in Bangalore click here.